RD Racing is pleased to announce the following driver update and sponsorship partnerships for the 2018 OSCAAR Modified Series. The RD Racing #97 OSCAAR Modified will be driven this year by 16-year-old Tyler Di Venanzo. Tyler leaves a successful 5-year career of karting with the Waterloo Regional Kart Club at Flamboro Speedway. He finished the 2017 season 3rd in points and racked up 3 feature wins and a number of heat wins throughout the season. It is with great pleasure that we announce that iLLUMA-Drive of Burlington, Ontario has joined forces with our racing team and Tyler’s rookie campaign in the series. 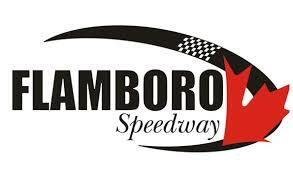 “We are very excited about partnering with and representing this growing company throughout the 2018 racing season”. iLLUMA-Drive will fill a primary role with our team. RD Racing is also pleased to welcome Retail Design Group of Waterdown, Ontario to our team for the upcoming racing season. “This partnership means a lot to us on many levels and we can’t wait for the season to start!” Retail Design Group will be an associate partner with our team. MRC Wireless of Kitchener, Ontario will once again be a partner with us for the 2018 campaign. “We are very proud to have partnered with this great company for three seasons now, as they provide us with all of our two-way communication needs”. MRC Wireless will also be an associate partner with our team.